Want to see a friend’s Instagram activity? Want to know what they are up to on Instagram? Whether you are really stalking your friend on Instagram, or are just interested in what posts they like, you’ll be happy to hear that there are ways with which you can see your friend’s Instagram activity. Today, we share more information about ourselves than ever before. We share what we eat, what we do, how we feel, and much more. Something we also don’t think about is that social media also share our way of living, our awake times, when we go to bed, and how we use social media. When we use social media, we leave traces of our social media usage which enables other people to spy on us. Instagram is no different, and this is why you can, in fact, see a friend’s Instagram activity. 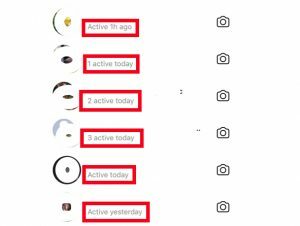 In this article, I’ll, therefore, go through how you can see a someone’s Instagram activity step-by-step, and I’ll go through each and every method of doing so. You can only see posts that someone has interacted with on Instagram if you are following them. You can not view old interactions, only their most recent ones (the more accounts you follow, the shorter of a time you’ll be able to see someone’s interactions). You can see someone’s most recent posts by going to the home button, then scrolling through your news feed and see if a post from them shows up. You will also be able to see when they made the post. Another method to see their most recent posts is to visit their profile. To do so, go to the search bar in Search & Explore and search for their username. When you come to their profile, you’ll be able to see their most recent posts at the top and the oldest posts towards the bottom. If the account is private, it means that only the followers of that account can see their posts. Therefore, in order to see the posts they’ve shared, you must first request to follow, and then if the person accepts, you’ll be able to see their posts. If the account is open, seeing an account’s posts is as easy as 1, 2, 3. Just search for their account in the search bar and look through their posts. Their most recent will be displayed at the top, and the oldest will be located at the bottom. When you click on a post, you’ll also be able to see when it was shared. If you start to follow an account, you will automatically get their new posts in your feed. Simply open up the app and tap on the home icon in the bottom left corner and scroll through to see if you can find any posts from them. If you don’t, it’s usually because they haven’t posted anything recently. You can see who your friend most recently followed through their profile. You do so by clicking the Explore (star) button next to the Home button and then searching for their username in the search box at the top. When you find their profile, tap it and you’ll be directed to their profile. Now, tap “Following” above the follow/unfollow button. This will present you with a list of users that your friend has followed. Normally, this list is sorted in the following way: The top accounts in your following/followers list on Instagram is influenced by the frequency that you visit or interact with them. Instagram is doing everything to tailor the user experience, and when you interact with specific accounts, you tell Instagram that you find them more interesting and relevant than others. Accordingly, the algorithm sorts accounts based on which accounts it believes you will find the most interesting. Note that you cannot see the accounts someone is following if they have their account set to private and you are not following that account. You will only be able to see the number of accounts they are following (unless you”re blocked). You can find the users that followed your friend most recently by going to their profile. Once you’re on their profile, click “Followers” above the follow/unfollow button. You will now see a list of users who are following your friend (this is usually ordered from most recently followed to least recently followed). You can find posts that your friend has liked by tapping the chat bubble with a heart inside, located to the right of the” take a photo button”, at the bottom of the screen. Once you’ve navigated to the Activity screen click “Following” at the top of the screen. Now, you’ll be presented with a “list of notifications” of actions that the people you follow have made. here, you’ll be able to see accounts they’ve started to follow, posts they’ve likes, and comments they’ve left. In my eyes, this is the single most effective way to see someone’s Instagram activity, because virtually everything is gathered in one place. You just need to stay updated because if you follow a lot of accounts, the notifications will disappear quickly. Stories is also a great way to see a friend’s Instagram activity. Now, far from everyone uses Instagram Stories, but those who do tends to update their Stories regularly. This is great for you if you want to see someone’s Instagram activity because looking at their Stories will let you know when they were online the last time – or at least when they last posted their story. On Instagram, you can see posts that an account has been tagged in when visiting their profile. If you have an account and get tagged in an image, you have the possibility of hiding posts that you are tagged in if you don’t want other people to see, it. By hiding it, you remove it from your “tagged in” section so people can’t find it from your profile. Therefore, if you are looking for a particular post that someone is tagged in, but you can’t find it, the reason might be that they have hidden it from their profile. To see the accounts someone has been tagged in, go to their profile and tap the human icon at the top of their feed. Can you track someone’s Instagram activity? There are different meanings to that question, so the answer is both yes and no. In one way you can track your friend’s Instagram activity by using the methods listed above, but in terms of tracking someone’s Instagram activity and being notified with each action they take – not just when they share a post (or engage with one of yours), there’s no real way of doing this. The only way you can “track” your friend’s Instagram activity is by turning on their post notifications. 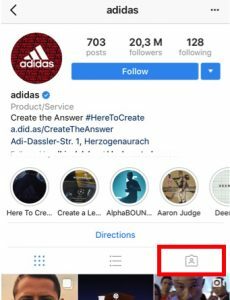 That way, you’ll get a notification every time they post something on Instagram, thus allowing you to see their Instagram activity and when they’re online. 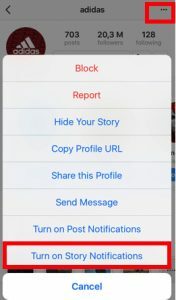 To turn on post notifications so you get a notification every time they share a new post, go to their profile and tap the three dots in the top-right corner. Now, tap “Turn on post notifications” or “turn on Story notifications”. If you activate both, you’ll get notifications when they both share Stories and new posts. This will allow you to get full control over your friends and see your friend’s Instagram activity each step they take. You can also complete the same process by going to any of the posts they’ve shared and go through the same process. Do note that you need to follow an account in order to be able to turn on post notifications, you need to follow the account first. A new Instagram update has made it possible to see someone’s Instagram activity, or more specifically when they are online on the app. The way you do this is not the way you might think. In order to track someone’s Instagram activity and see when they were last online, you need to have spoken to them on Instagram Direct Message. To see their activity, go to your Instagram Direct Messages where you’ll have a complete list of all the people you’ve talked to. Note that in order to be able to see someone’s Instagram activity and when they were last online, they have to be the one who sent the last message in your Direct Message conversation. If you’re in a Direct Message group, you’ll see the number of people who have been active today. 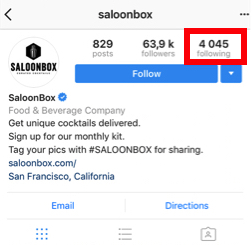 This method doesn’t allow you to see their activity on Instagram in detail, meaning what they actually did when they were online, but it does tell you when they were last online – or if they’re online right now. Now, there are a few apps that claim that they help you see your friend’s Instagram activity, exactly when they are online and not, but these apps have yet to prove that they work. This is why it’s best to stay away from them and use the methods as listed above to see your friend’s Instagram activity. Hopefully, you’ve found this article helpful and you’ve gotten to know How To See A Friend’s Instagram Activity. If you have any further questions, don’t hesitate to ask them below! It appears I can only see what photos my friend, who I follow, likes in the app (Android) version, but not the desktop version. Is this correct? You can only see your friend’s activity on the mobile verion. Thanks for sharing valuable information for those who want to view someone’s else instagram profile. Such a great article. This article explained about how to check your Instagram activity.